Here at Top Kitchen Design, we want you to have simply the best from a wide range of kitchen design selections of traditional, conventional or both and our kitchen fitters in London will surely fulfill your desires of having an elegant kitchen that you can call your own. Our modern interior design London has all the latest colours, styles and accents along with our expertise, years of experience, and building knowledge and skills, we can assure you that you will have an unforgettable home renovation London Experience. 1. We will make the most out of your budget. With the budget that you have for the kitchen design that you prefer, we will make sure that your kitchen will be built out of first class materials and superior products. 2. 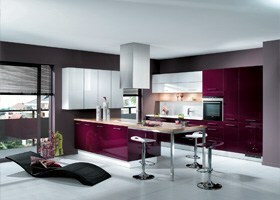 We will have one of our best kitchen fitters London assist you with all your kitchen designing needs. Our kitchen fitters are up to date with all the latest trends, products and are well trained in providing ideas for styles depending on your preferences. 3. We will help you build the kitchen that you have always wanted. We understand that the phases involved in a home renovation can be quite challenging. We will help you go through all these phases from the planning, setup, and the building. During the planning phase, we will help you identify the best style that would surely meet your needs. We will also help you with the determination of the best colour, the ideal style and the budget needed. During the setup phase, we will help you determine and acquire the materials needed. During the building phase, we will take care of it all and all you have to do is enjoy the whole experience of watching your kitchen be transformed into something that you have always dreamed. 4. We will give you the results that you want. We do not only guarantee that you will have a wonderful experience but we will also make sure that you will be very satisfied with the results of the kitchen renovation. 5. We always make sure that we achieve our main objective which is to make sure that the entire process goes smoothly and deliver the results on or before the deadline. We make it a point that you get the beautiful home that you deserve.